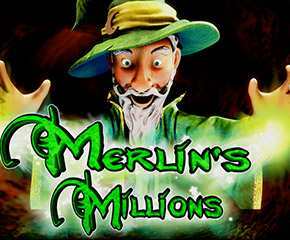 Merlin’s Millions is a video slot created by NextGen. Based on legendary tale of a wizard named Merlin, this slot has 5 reels and 50 paylines. The design is very cheerful coupled with amazing graphics and a theme which intrigues both old as well as young players. Endowed with scatters and wilds, the slot can prove to be highly rewarding due to it’s an exciting feature called the “SuperBet feature”. The betting range inMerlin’s Millions slots varies from£0.50 to£25.00. The symbols include Merlin, Owl, Magical Potions, Magical Staff, Poker Cards, and Spell Book. The wild symbols and scatter symbols are categorized as special symbols. Merlin uses the magical powers to reward the players by swiping the magic wand. The magic spells performed by him seem to be quite amusing. The most entertaining and rewarding feature is SuperBet function. To activate this feature, you have to click on SuperBet button which is located on the right of the control panel. An extra wager will be required to put up with every spin thereby applying a bonus multiplier to the winnings that you grab. It depends on the level of the feature that is activated. This 5 leveled SuperBet feature includes multiplier ranging from 2x up to 10x. The wild symbol is Merlin himself and it will substitute for all the symbols present on the reels leaving only the bonus and scatter symbols. Bonus symbols include the Owls and Magical Orbs. The wild symbol will appear only on reels two, three and four. The Magical Orbs can reward you 5 free spins. The moment the round of free spins gets activated, the wizard will cast a spell and enchant any of the reels which will then turn into wild, thereby providing you more winning opportunities. Landing at least 3 scatter symbols will re-trigger extra re-spins. During the Free Spins round, the random symbols will get transformed into stacked wilds which consequently increase the winnings. The bonus round Owl Bonus will be triggered when at least 3 Owl symbols will land on the reels which will then turn into the cute Magical Owls. All you have to do is to pick the owls in this bonus event. The Gamble feature can double or quadruple your win. Just pick the card of correct colour and the win will be doubled whereas it will be quadrupled by correct suit. Having a lovely look, Merlin’s Millions slots features a return to player percentage of 95.08%. Vivid graphics and chilling sound effects are complementary to the theme. 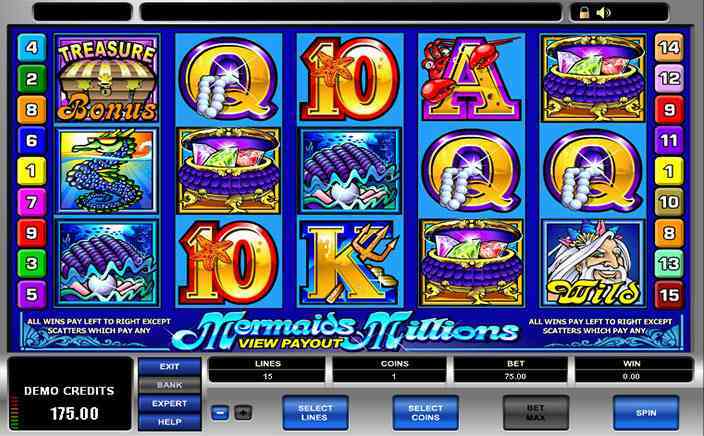 With pretty good overall presentation and ample bonus features, you can surely give this slot Merlin’s Millions a go.